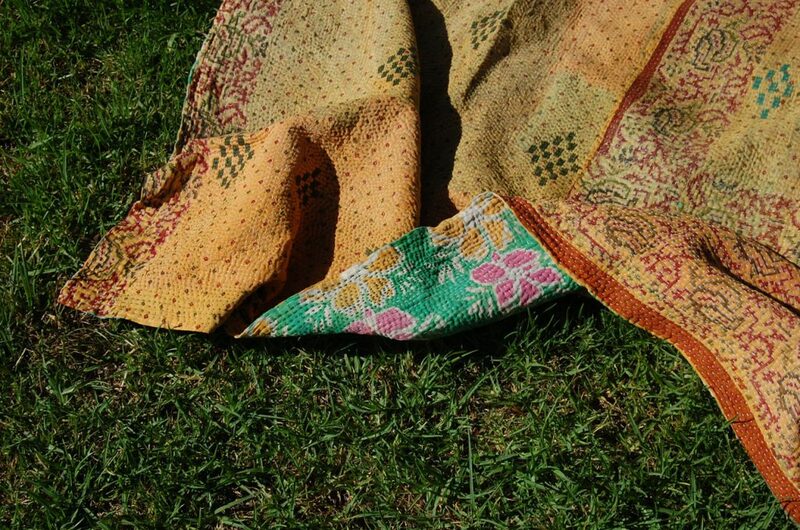 BHAMINI, the princess ~ of a demure nature, softly spoken, elegant and well-presented. 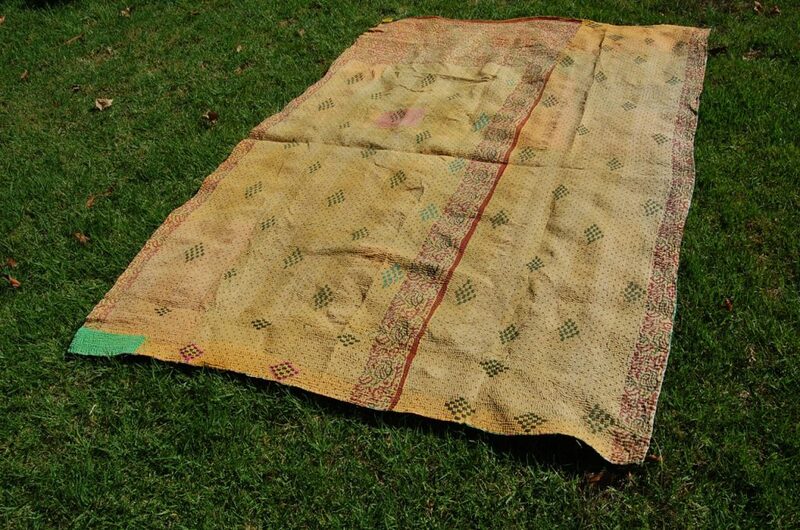 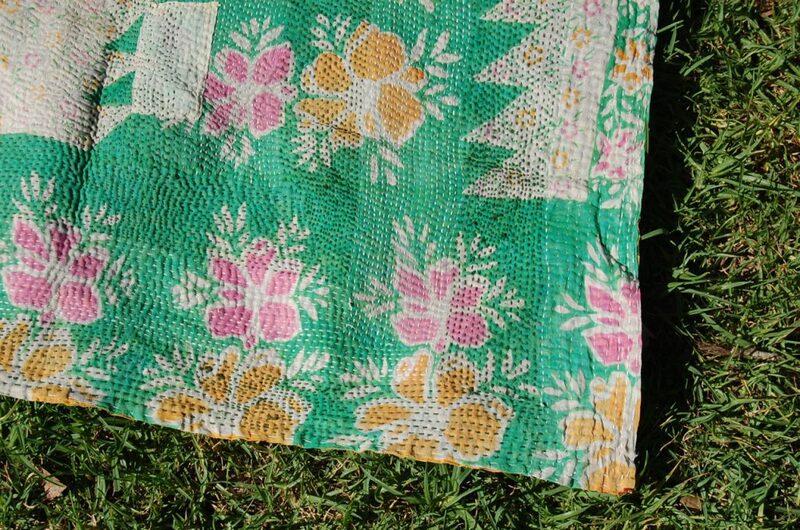 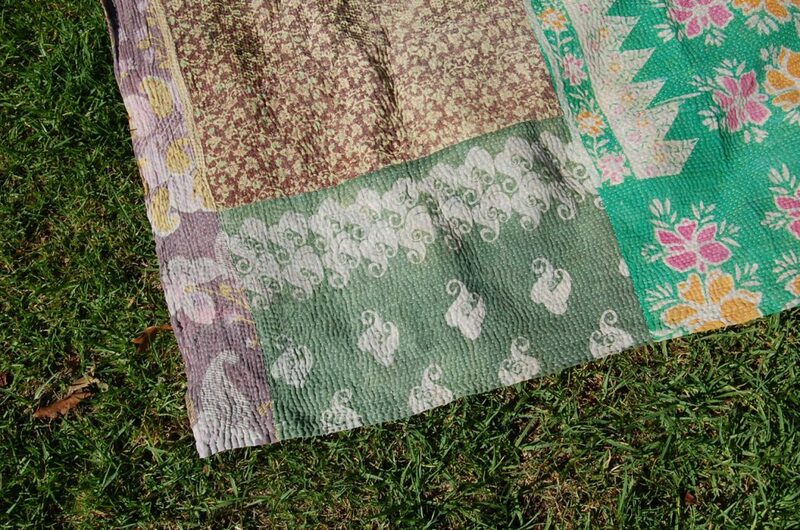 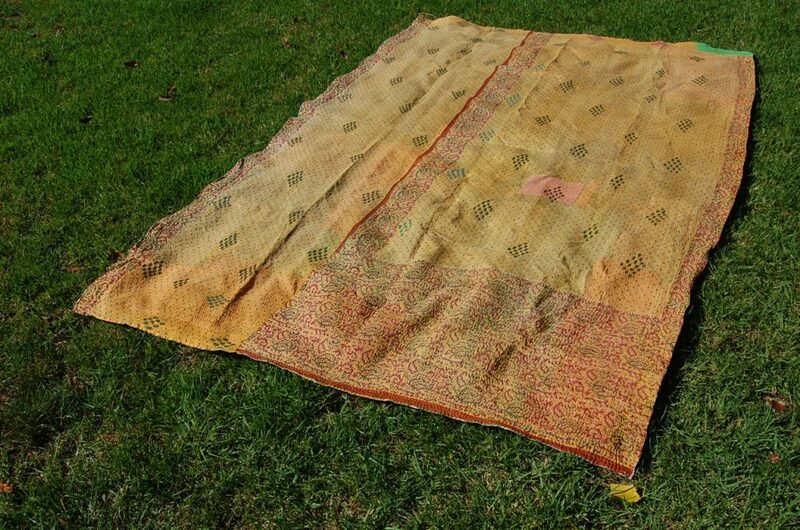 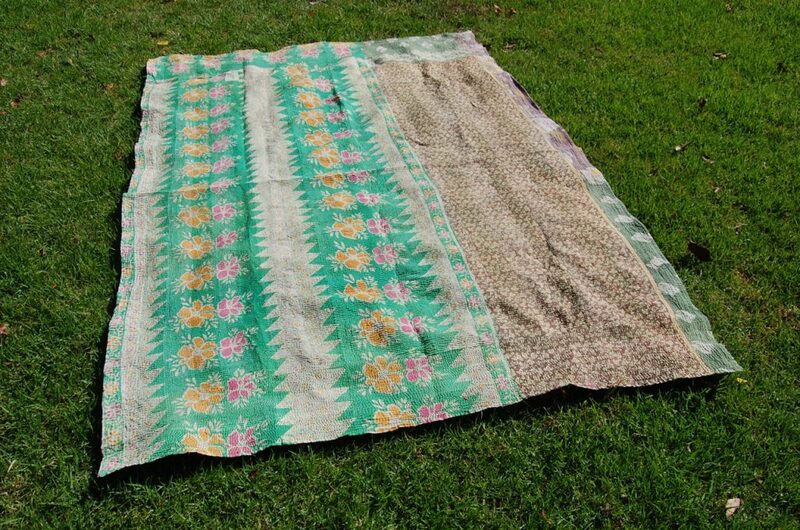 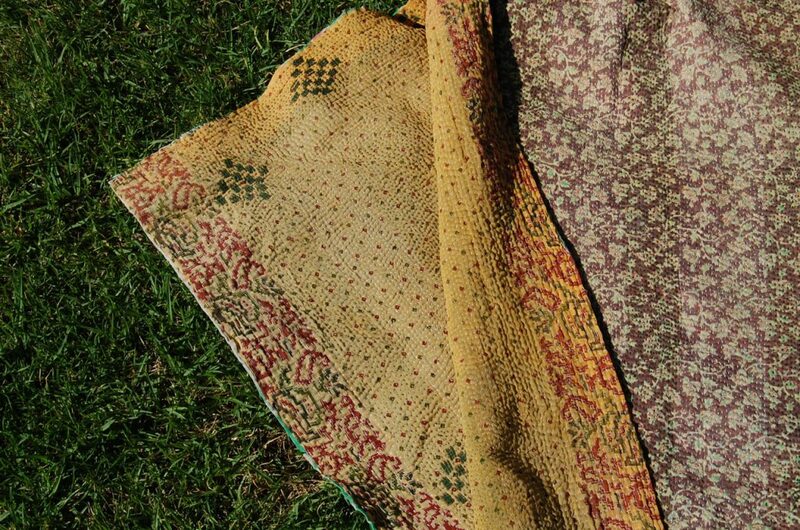 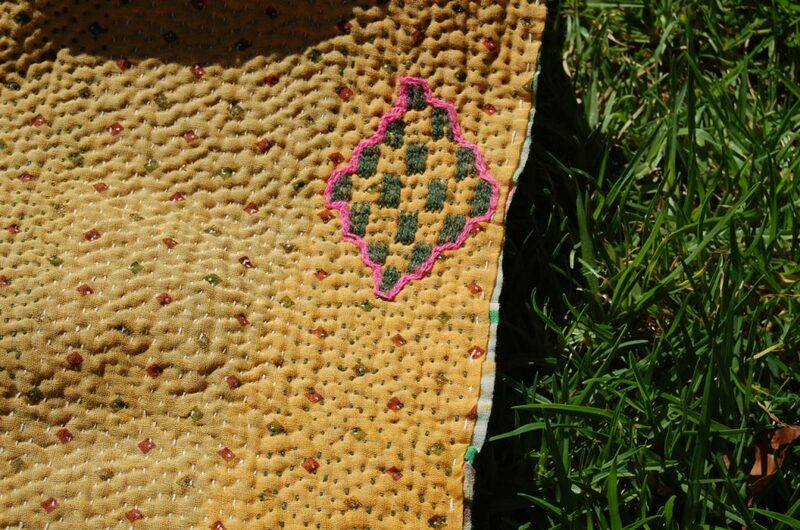 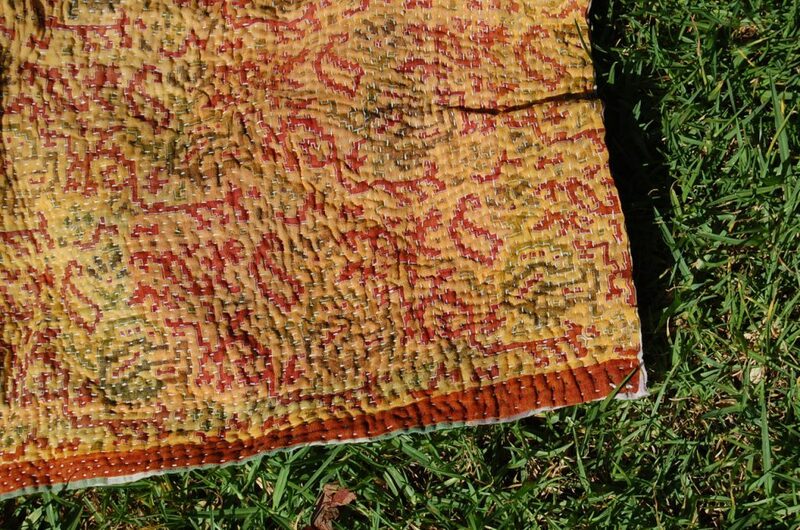 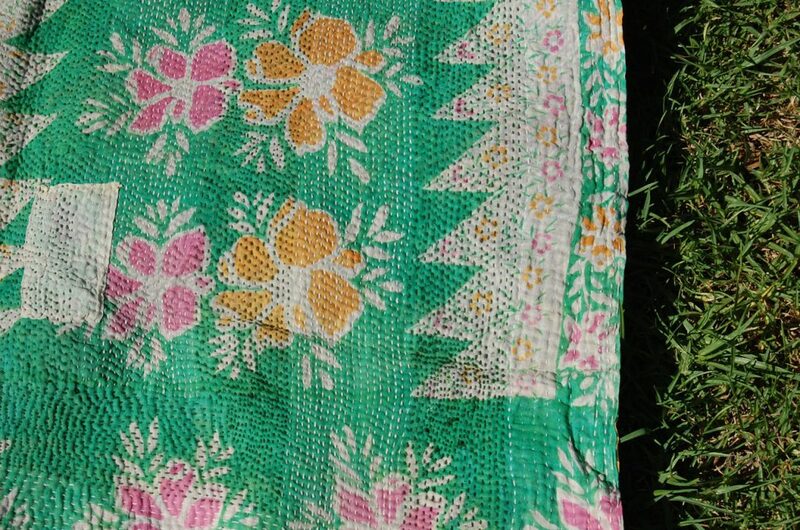 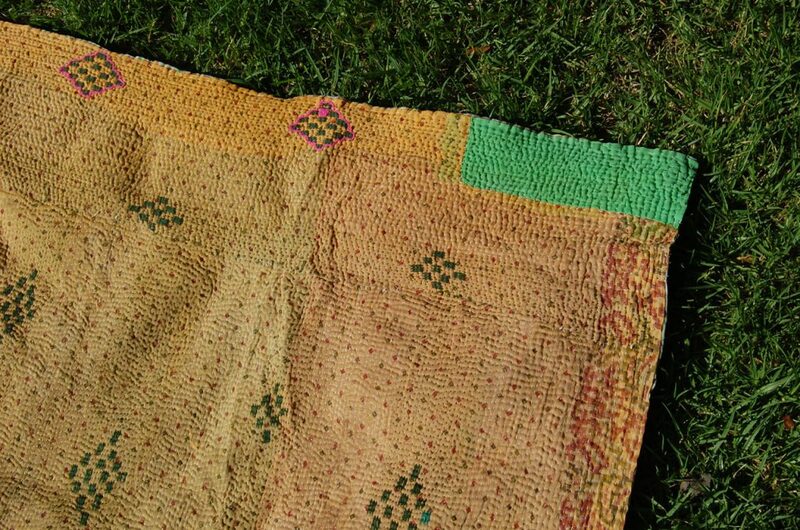 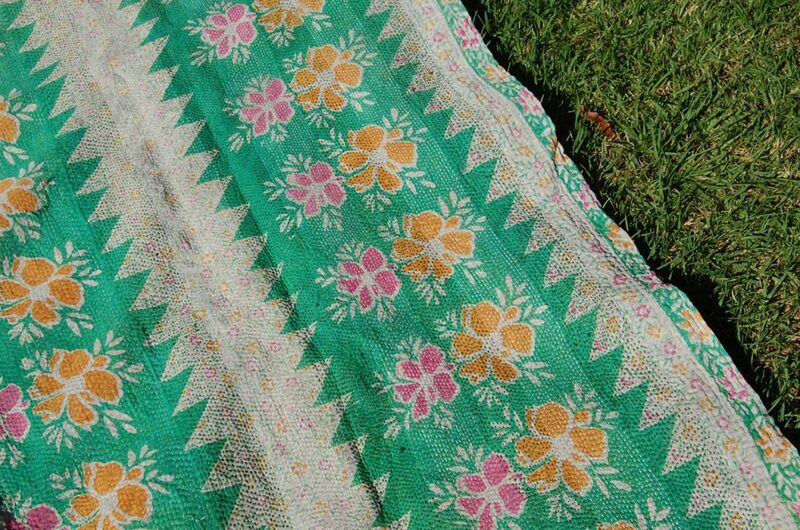 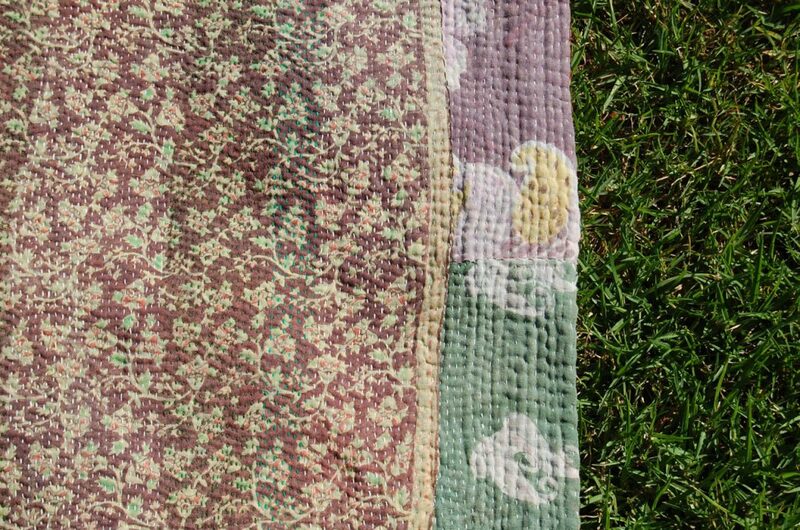 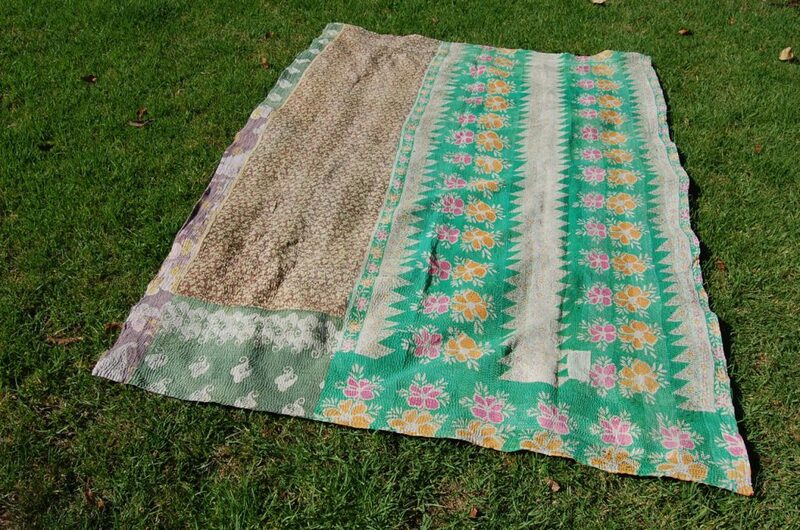 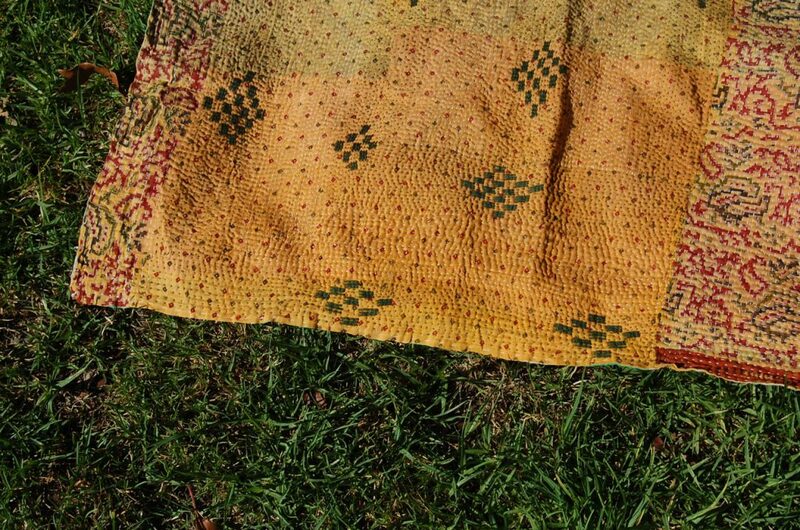 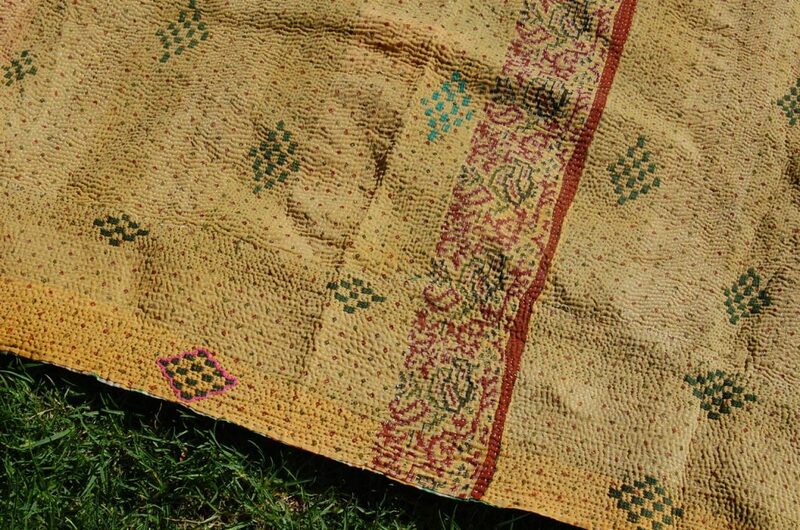 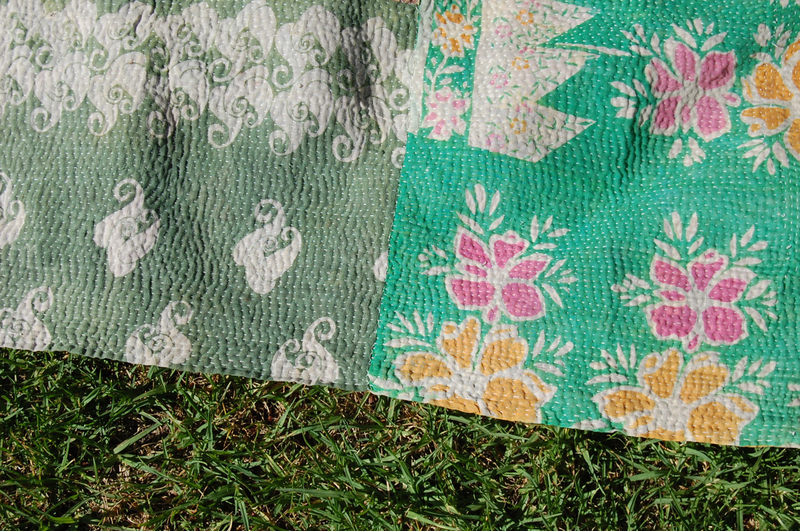 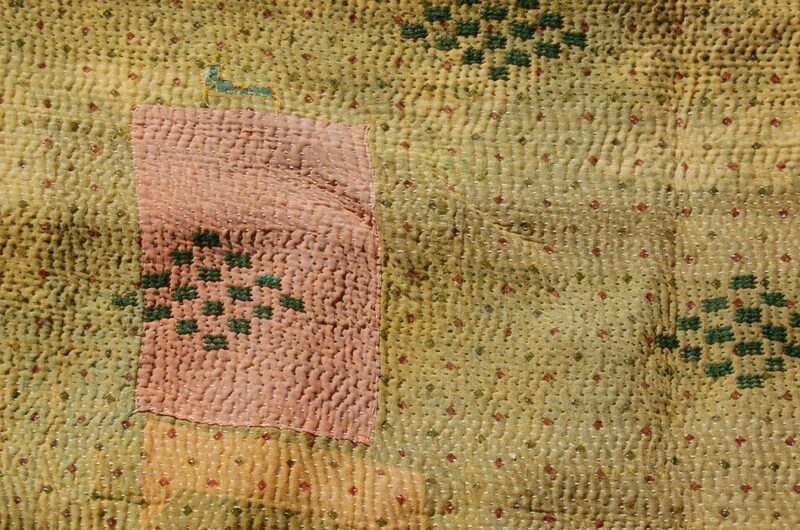 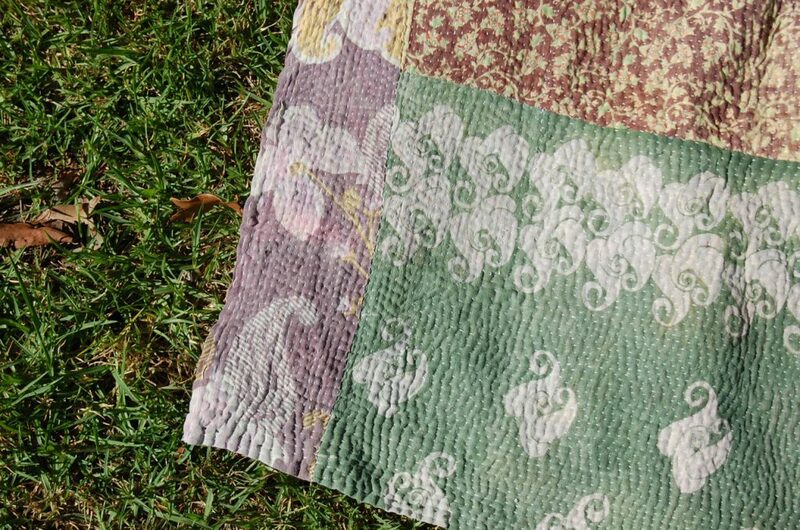 This kantha quilt is a special addition to The Kantha Project’s collection of kantha quilts and blankets. 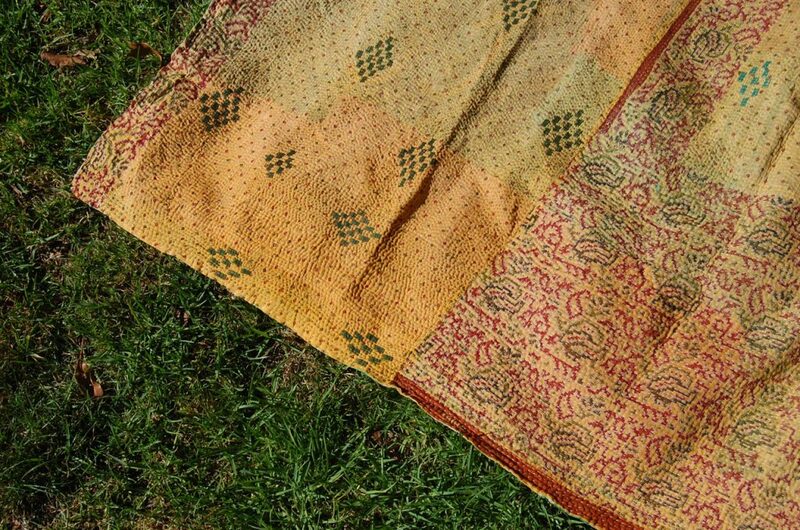 Part of the Maharaja Collection, exhibiting particularly special features, such as very tight stitching, special stitching techniques (such as the diamond thick stitch seen in the photos above) and being of heavier quality, this collection of kanthas are at the height of kantha tradition. 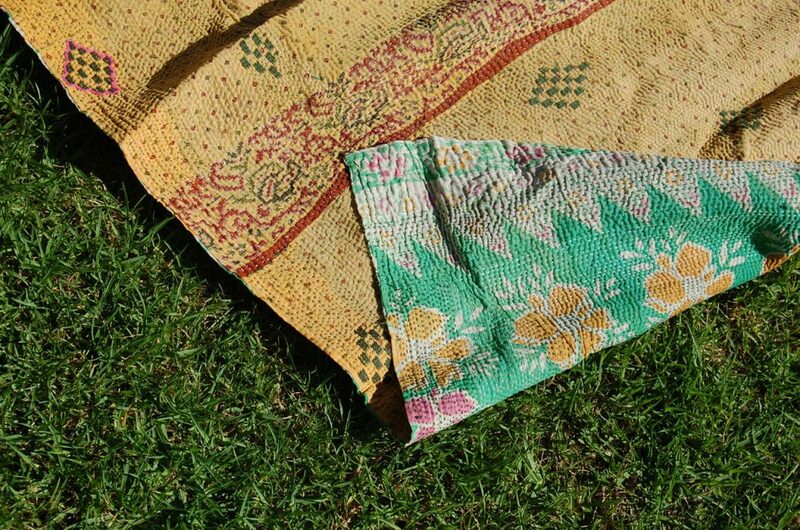 Bhamini is also available perfectly paired as a Kantha Pack – with GENIE, a sophisticated match, both elaborate and understated.